BE prepared for your social media feed to filled with pictures of the moon tonight – a “super worm equinox moon” will light up the skies above Perth tonight. The full moon will appear to be extra bright tonight. 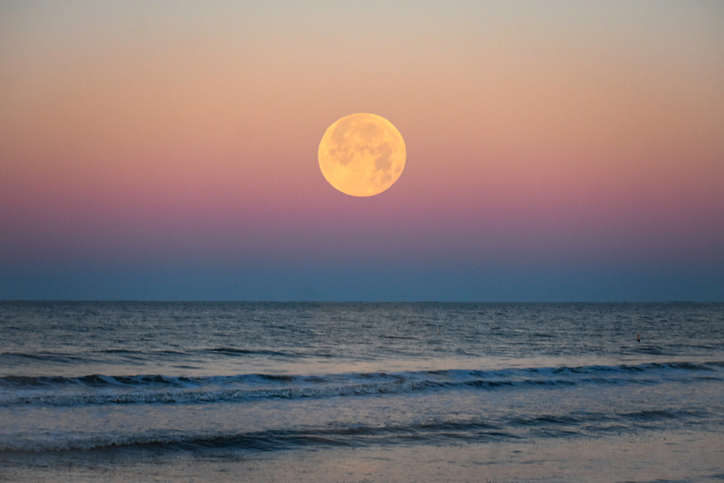 Why is it called a “super worm equinox moon”? This will be the last supermoon of 2019 and is called the worm moon in the northern hemisphere. Native Americans gave the moon this name because it coincides with the thawing of the ground and the reappearance of earthworms. Its appearance also coincides with the March equinox, which officially signals the beginning of autumn in the southern hemisphere. This means the sun will rise later, set earlier and the cold will start setting in. The moon will rise at 6.57pm toward the east in Perth tonight. While people in the eastern states will be able to see it above the ocean, West Australians are best off heading to the hills. Will the weather ruin the view? There are predictions for clear skies and temperatures in the high 20s tonight, which will make perfect conditions for sky-gazing. For those of you who believe in star signs the “super worm equinox moon” begins the astrological new year. Astrologically we are moving from Pisces season to Aries season, which is seen as a time of rebirth. It heralds a time of new beginnings, but because it falls in the sign of Libra – which is ruled by Venus (love! ), relationships will fall under the microscope for many people. But because it is Aries season they might feel bolder and more confident than usual. There are special night photography apps you can download from the app or play stores. Head into the manual settings on your camera and set your ISO to 50. Set your shutter speed to 1/250 and 1/750. We suggest using a phone tripod to keep the camera still – with faster shutter speeds you need a steady hand.